 The Scene Magazine - Page 4434 of 4581 - What's up Toronto? in the future, but the focus will always be on people that can deliver a tight show. We have had a lot of amazing producers through the city and it has definitely given the scene a huge surge of energy, and without these shows we probably wouldnt have a market for what we are trying to do. We do however feel that the city is ready to hear some artists who’s primary focus is their live show. Though you may not here as many “beatport top 10’s” a tight Dj always equals an awesome show. We strongly believe that if people bust through the glass ceiling and get out to here a tight DJ play that they will be impressed with what they hear. that some people may not be used too. DEFINITELY worth checking out, JoeNice is guaranteed to school you on new sounds and flavours… And one last thing is certain… You will not only hear his set you will FEEL it too. Local support from Casper Touch, Sketch Friendly and Perfect Stranger. SCENE PICK OF THE WEEK!